April is Child Abuse Prevention month, and this is a cause that is near and dear to my heart, a cause which I've supported in my profession off and on. So I wanted to write a piece on my blog from a social worker's perspective. While I make an effort to keep my blog very family friendly, this story may be disturbing to some, so reader discretion is advised. I will never forget the first time I had to remove a child from her parents. I'd received the Priority One case just an hour earlier, groaning to myself when I saw it was a dreaded "dead baby" case. I wouldn't be investigating the 9 week old deceased baby (killed by his father due to negligence and drugs) - that would be up to the police. I was there to check on the other child - a two year old that I'll call H.
It didn't take long in assessing the hostile situation to place the call to my supervisor requesting to remove the child from the home. Thankfully, the cops were already there to intervene when the irate grandfather, who'd hoped to gain custody himself but who had lied to me about his own drug history, lunged for me. The child sobbed, scared, as I carried her rapidly to the car, the screams of her hungover mother in the background. The drive back to the office was bumper-to-bumper traffic, so typical for Houston. Steamy sun blared in through the windows, and the child in the backseat was silent. When we arrived at my office she held my hand softly in the elevator to the sixth floor, and didn't say a word. I tried to reassure her, to talk to her, but she remained quiet, wide blue eyes staring bravely at the wall. I set her up with a small pink dollhouse I kept in my office. She just sat there, a tiny awkward lump of child limbs. She was a child that was shut down - that seemed to need nothing from the world or from adults. I sat on the floor by her side, ignoring the mounds of paperwork on my desk, and attempted to show her how to play. Finally, she seemed to realize it was alright, and she began to move the tiny figurines through the rooms of the pink house. As I watched her, I had no idea that just days later a foster mother would take her to the pediatrician for a physical exam, only to discover H. had been violated in ways that no child should experience. As I watched the subdued child, blond curly hair tumbling in her eyes, in occured to me that she was so beautiful she should have been in a Huggies commercial, not sitting on the floor of Houston CPS. Just one day she spent with me, playing on the floor of my office. That evening I'd drive her to a foster home and say my goodbye, as the case would then be transferred from investigations to substitute care. Even though it was just a few short hours I was acquainted with H., not a week goes by that I don't remember her, and wonder what happened. She'd be a teenager today. Did she stay in foster care, maybe even find a nice family to adopt her? Or did the legal system fail her in some way? Is she struggling today, going down that common path of victims, abusing drugs or exploiting herself? She wouldn't have any memory of me today, but here I am thinking of her and so hoping that she has found happiness. I know that the public can become jaded by negative experiences with burned out social workers. They do exist. But most of them? Well, most social workers care immensely about the children they work with, and believe that they can make a difference. If you suspect a child is being abused, please call your local CPS. You can report anonymously, and your call may be a turning point for a child. I believe absolutely that social workers care deeply for those they work with. It's the type of work nobody goes into lightly but out of a burden to help. Thank God you were able to be a part of getting that little girl away from such an abusive situation. Must have been a difficult profession, Lisa, but also rewarding at times. Thank you for sharing some insights to what social workers have to go through. Oh, that is so heartbreaking. Thank God you were able to get her out of that horrible situation. I hope she is doing well. This was so hard to read. I don't want to acknowledge that this sort of thing happens. 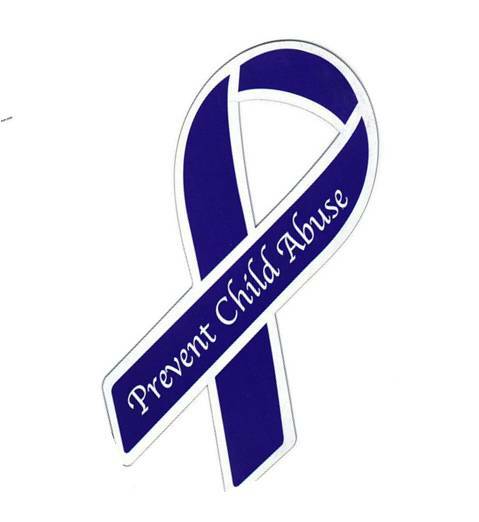 I worked with with abused children several years ago and I wanted to rescue them all from their terrible circumstances. But I couldn't. All I could do, was offer them a safe refuge and haven for the 6 hours a day that I saw them. Such a very small moment in your life, but a truly unforgettable and heart wrenching one. Your powerful writing has brought me to tears, I can visualize this all in my head, the blond hair, the solemnity, the playhouse....we have two five yers olds in our life, and they are more precious than gold, I cannot even comprehend these kind of people. I so hope she ended up okay too. You had such a challenging job. I know it was heartbreaking, but I am glad you were there to take her out of a difficult situation. Such a sad sad story. You must have a really hard job but hopefully rewarding too. And thank you for your sweet comment on my post! Unfortunately our system does not always work out so well for those that end up growing up in it. I don't have answers on how to fix it, but I really think something needs to be done. I, too, hope that little girl was able to find some happiness in her life. I almost clicked away, too scared to read. I'm glad I stuck it out. Too many people look away. Thank you for all that you do. Thank you. Thank you for being one of the social workers who care deeply about the children and work to see them safe. That is huge!! Thank you for sharing this with the Blog Carnival Against Child Abuse and for speaking out on behalf of children who can not speak for themselves. Social work is a really tough career field. I admire you for sticking it out as long as you have/did. Heartbreaking stuff has a way of dragging the soul down. You have to have a healthy balance in your life to make it. I'm grateful for those who do their best to help. I second Ash. Thank you. Thank you for writing this, thank you for being the kind of person who stepped up to the plate for that little girl. As an adult, who was abused as a child, thank you for doing all you can to help children. We need more people like you, in this system that is so overburdened. (I know a bit about it as I used to be a CASA.) Bless you for getting that child out of there. I, too, hope that she is now thriving. Thank you for the work you do. And thank you for raising awareness by being part of our blog carnival.